Whether your car is running or not, we'll get you paid today for your unwanted vehicle – it's that easy! Remember, your trash may be another man's treasure. 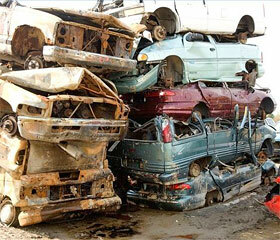 We will salvage your unwanted vehicle for useful parts and pieces to repair and rebuild other vehicles. We specialize in vehicle repair and restoration. You may either bring your vehicle to us at 45 Weller Avenue, Hamilton, NJ 08610. Or schedule a FREE pick-up of your unwanted car, truck, van, SUV, RV, or motorcycle. We also provide fast reliable towing and auto transport services, and we buy junk cars in the Central Jersey area.